Founder Jason Howard began his career by taking electrical courses in high school, attending and placing in the regional & state VICA electrical competitions. Before graduating high school in 1987, Jason worked the summer for a local electrical contractor. After that time he worked for two other local electrical contractors to gain the knowledge of residential, commercial and industrial electrical contracting. In 1990 Jason passed the NC State Board of Electrical Examiners Exam. And thus began the J.S. 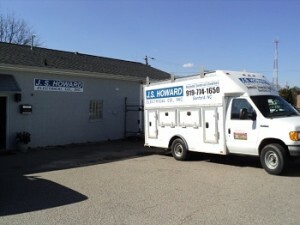 Howard Electrical Co., Inc. which has been serving the community of Sanford and the Southeast for over 20 years. Today J.S. Howard is a company made up of three executive team members including Jason, as well as number of contracted qualified trained professionals. We also perform background checks, random drug screenings and other required tests on our employees to insure a high quality job performance level. J.S. Howard Electrical Co. is proud to offer Sanford and the surrounding communities expert Residential, Commercial, and Industrial Electrical Services. In addition to services such as Wiring and Lighting Upgrades, we are certified dealers of Briggs & Stratton Generators and provide Generators to purchase or Rent as well as Generator Repair and Maintenance services. 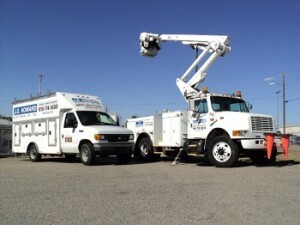 If you live in Sanford, NC or any of the surrounding communities in Central NC and require an experienced electrician for any type of Residential, Commercial, or Industrial Electric Service such as Lighting, Installations, or Repairs please don’t hesitate to call J.S Howard at (919)-774-1650, email us lisa.jshoward@windstream.net, or fill out our form for a Free Service Estimate and an employee will be in contact shortly.